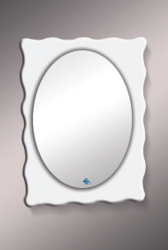 We are counted amongst the top companies involved in offering a wide range of Silver Mirror. These are highly acknowledged among our clients eye catching finishing and excellent quality. Our offered range is designed in accordance with set norms, using quality approved material and leading techniques. Silver Mirror stand made with 92.5% silver. size and weight as per order. more designs and sizes available. TYPE : Lobby and Bathroom These are Pure silver platted with Radiation polish handmade mirrors with mix metal plate pasted on wooden frame. We are specialized in offering Silver Trophy Model Mirror. This product is known for its perfect finish. 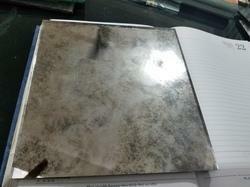 Being one of the trusted firms in the industry, we are highly engaged in providing a unique range of Silver Mirror.